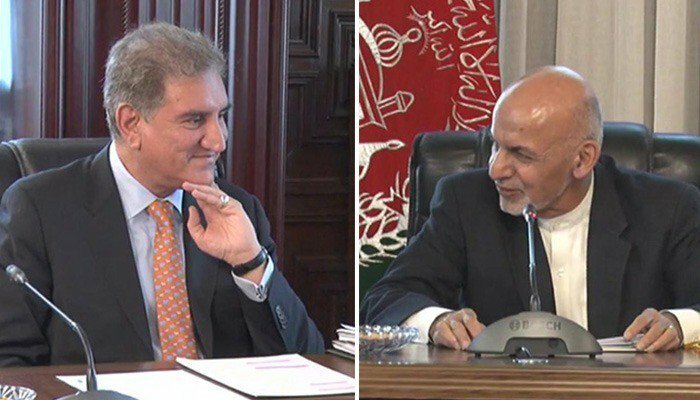 KABUL –Afghan president Mohammad Ashraf Ghani met with visiting Pakistani Foreign Minister Shah Mahmood Qureshi on Saturday. The two sides exchanged views on matters related to mutual interests including the Afghan peace process, stability and joint cooperation in the war on terror, said a statement from the Presidential Palace. "In the meeting both sides discussed the progress of the action plan of Afghanistan and Pakistan for peace, security, solidarity as well as the Afghan-led and Afghan-owned peace process and Pakistan's support to the process," the statement added. President Ghani in the meeting stressed for enhancing bilateral cooperation under the bilateral framework of cooperation including the Afghanistan-Pakistan Action Plan for Peace and Solidarity (APAPPS) and the Afghanistan-Pakistan Transit Trade Coordination, the statement further said.